New York, July, 26, 2018 – Grand Hyatt Playa del Carmen located in the heart of the Mexican Riviera, announces the debut of an exclusive new music series Playa Sunset Sessions with an invite-only preview in NYC on Thursday, July 26th, 2018. 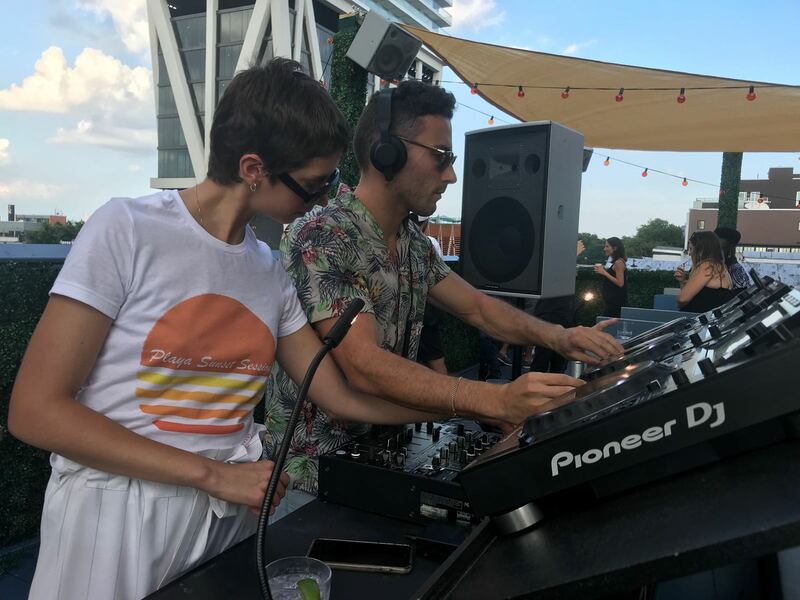 The event takes place at trendy Brooklyn club and lounge Output – co-hosted by downtown Manhattan cultural curators Cache – and will showcase sounds by Mexican and Israeli international DJ duo Niros & Holt. The new series will see Grand Hyatt Playa del Carmen partnering with international culturally diverse DJs and musicians, who will celebrate the resort’s local Mexican culture remixed through a new international music lens. For the first time in the resort’s three year history, music will become a focus for 2018 with Playa Sunset Sessions being a first series of the resort’s parlay into cultural programming. Throughout the next year, music curators and other icons will be chosen to provide the soundtrack for the hotel through digital playlists and events. DJ Niros and Holt will preview their music selections in NYC prior to playing Grand Hyatt Playa del Carmen’s launch event for their new sushi restaurant taking place on September 29th, 2018. The DJ set will also provide the resort’s beachfront pools and restaurants with an exciting, dynamic vibe for the fall and winter. “We are very excited to welcome Niros & Holt’s energy and vibe into Grand Hyatt Playa del Carmen as the first curators for our new music series – Playa Sunset Sessions. 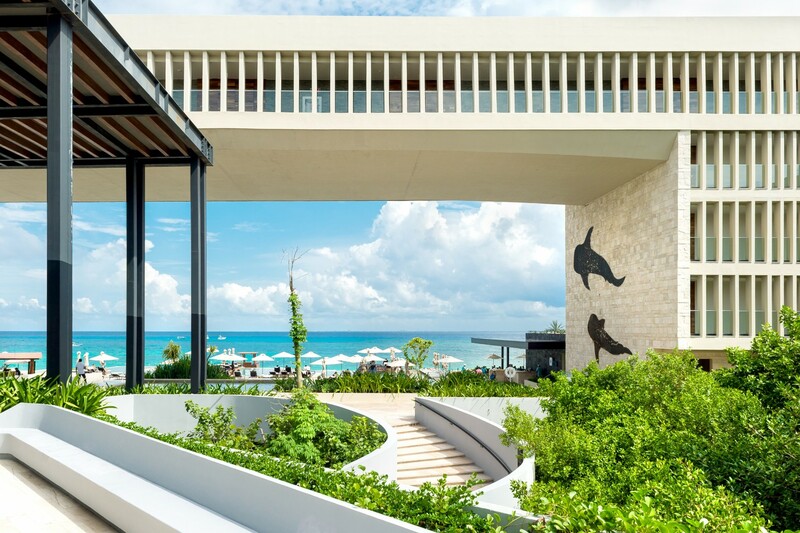 Niros & Holt reflect the pulse of today’s international music scene and we’re inspired by their tropical house beats and style, as they incorporate mainstream and underground Mexican and global artists,” said Juan Mercadante, general manager, Grand Hyatt Playa del Carmen. 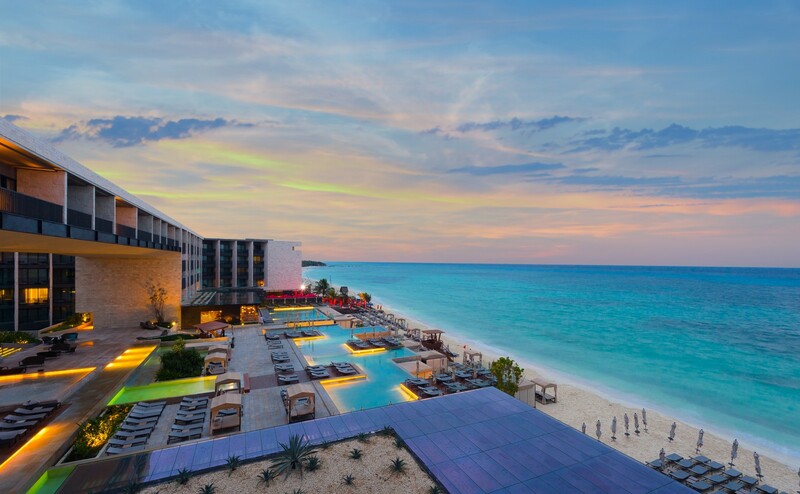 Since opening in 2015, Grand Hyatt Playa del Carmen is the only white sand beachfront full service luxury hotel on the coveted Mamita’s Beach, and is known to highlight Mexico’s rich and spectacular culture. From the striking views that surround the hotel’s location on 460-feet stretch of beach that are especially showcased in the exclusive Bridge “Air” suites, to the award-winning Cenote Spa which reflects Riviera Maya’s natural resources and unique typography – every part of the resort has been inspired by local Mexican culture and heritage. Guests are also treated to the taste of Mexico through the resort’s curated, Mexican-inspired culinary experiences and restaurants – most notable is The Grill at 1 26, which is Playa del Carmen’s only beachfront signature restaurant and all-day restaurant La Cocina. Amelia Holt was born in Rio Bravo, Tamaulipas, Mexico and joined forces with Niros Barnea, an Israeli DJ who had previous music residences in Tel Aviv, Miami and NYC. Together, they draw on their heritage and international travels, which provide inspiration for their DJ sets. Since joining, they have played alongside artists such as Justin Strauss, Justin Miller, Lovers and Tom Noble to name a few. ‘We are very honored and excited to be part of Grand Hyatt’s Playa Sunset Sessions this fall. This will be our first Niros & Holt debut in Mexico, so we are looking forward to sharing a taste of New York’s sunset music infused with latin beats,” said DJ Niros & Holt. 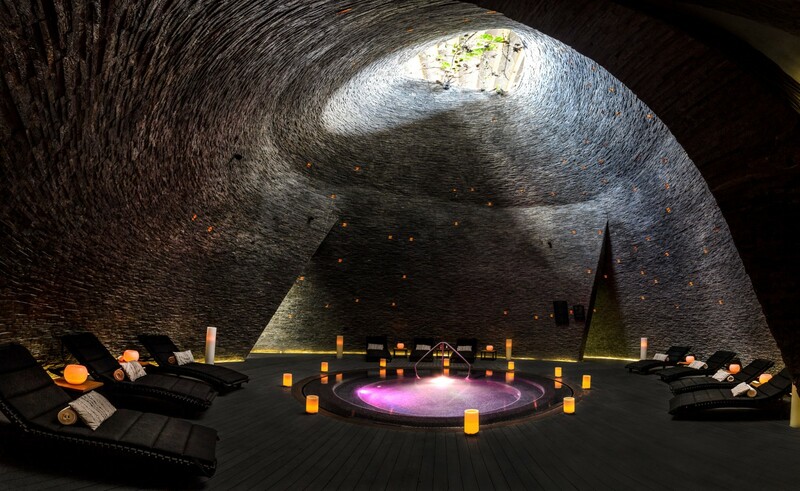 Grand Hyatt Playa del Carmen will showcase the best of Mexico’s iconic culture to travelers across the globe. The July 26th preview of Playa Sunset Sessions with DJ duo Niros & Holt is the first of several new series and events to come from the resort. To find out more about Grand Hyatt Playa del Carmen, please visit here. Mexican born, Brooklyn-based Amelia Holt’s sound fuses her love of Latin rhythms and house. A frequent collaborator with photographers, artists and designers, she draws inspiration from her Latin background and the thriving art and techno scene in New York. Amelia has played alongside Justin Strauss, Justin Miller and Tom Noble. She is excited to make her debut as part of Niros & Holt this summer at Output’s rooftop and in the fall at The Grand Hyatt in Playa del Carmen. Niros Barnea, is an Israeli native, Dj producer of fun and racy electronic music. Throughout the years he kept exploring different genres and sounds, including Drum & Bass, Electro, and Glitch Hop. Living in three major cities: Tel Aviv, Miami, and Brooklyn, had the biggest impact on Niros’s sound. From the underground creative techno of Tel Aviv, to the flashy Tech-House of Miami, and the Nu-Disco/Jazzy vibes of Brooklyn, Niros takes different influences from each of the cities. After playing in Tel Aviv, Niros joined forces with Amelia Holt (Niros & Holt), to produce a line of music events all around Brooklyn. They hold a monthly residency at Jupiter Disco, with the Post Season Franchise Records collective. Niros is currently working on his new podcast, “Swim Lessons”, where he releases a monthly mix inviting guest djs to share their latest.